Oswego kids 1923, in very front Peggy Woodward. Description Group picture of Oswego children. In the very front is Margaret "Peggy" Woodward. 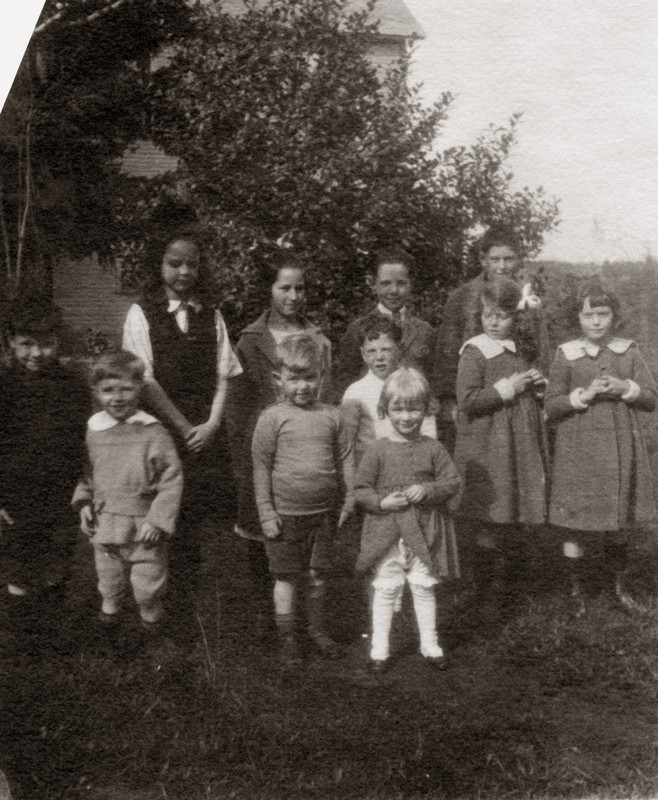 Transcription Oswego kids 1923, in very front Peggy Woodward.